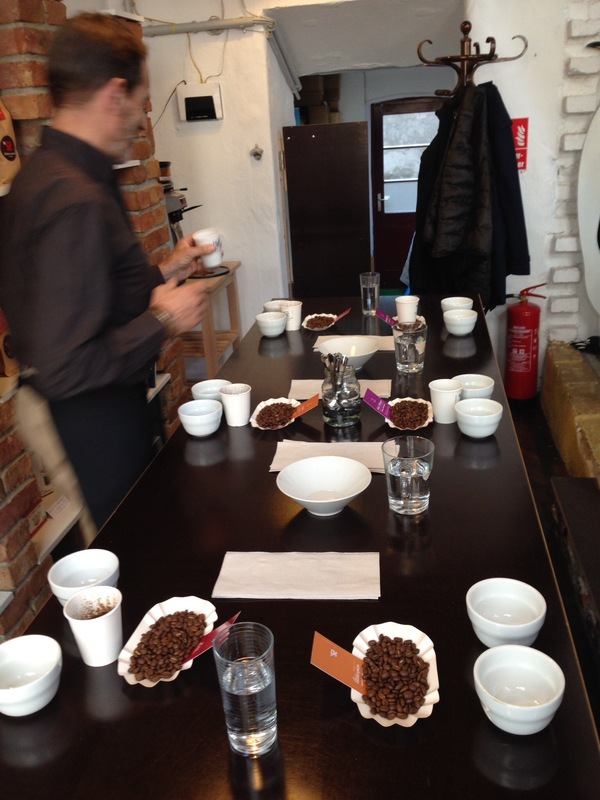 This is like Part 2 of my previous post in which I visited Sussmund with an informal coffee society called the Specialty Coffee Society. 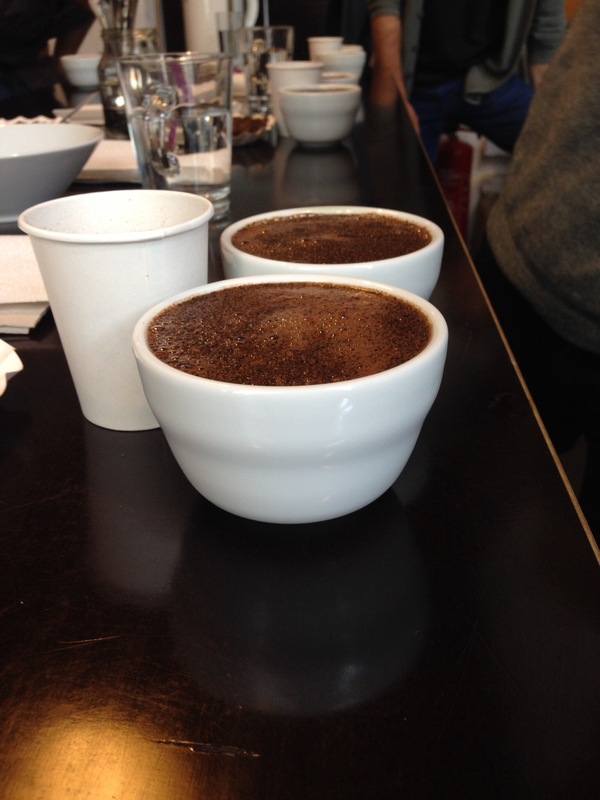 After that event, I proposed that for our next session we try a cupping session. 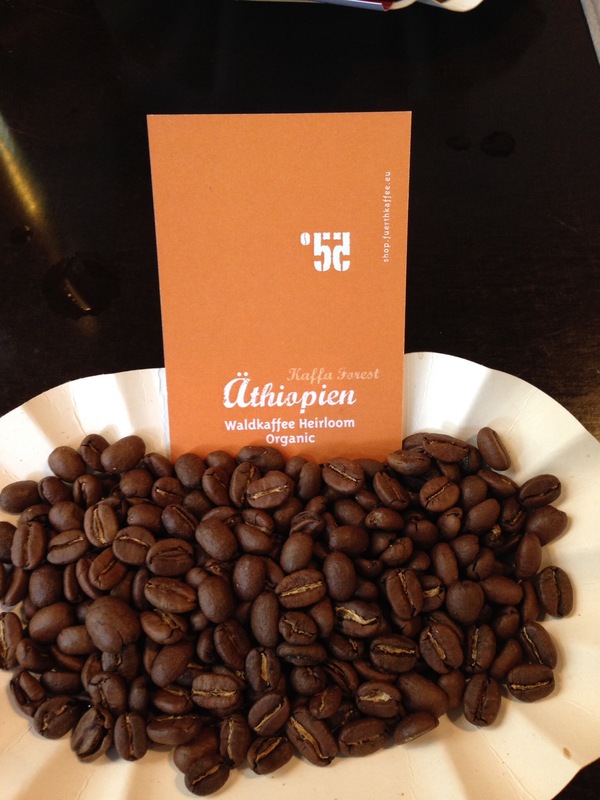 So I got in touch with Charlie Furth, a Vienna based roaster whom I have known for a while. In short, our kids went to kindergarten together many moons ago, when everyone knew me as a coffee fanatic – I left Vienna for three years to open my cafe in Cape Town, and upon returning Charlie told me guess what ? I’m now a coffee roaster. 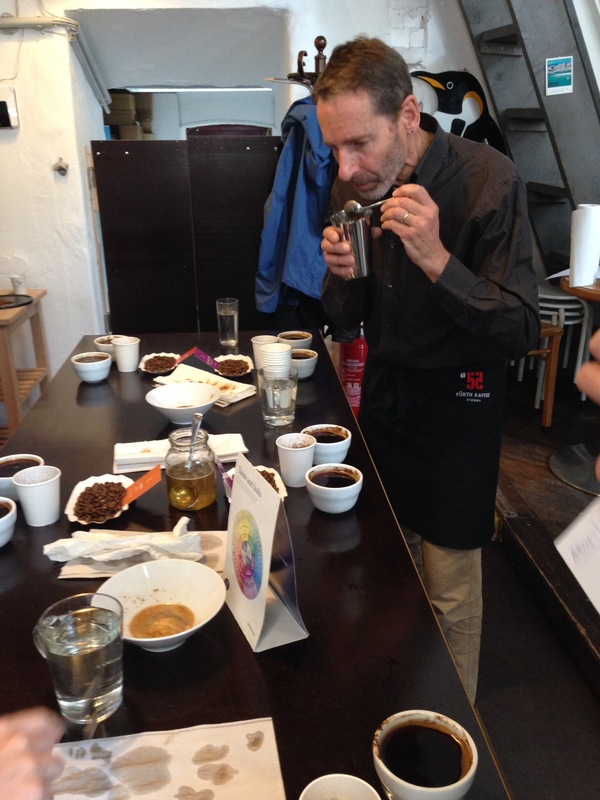 It was really intriguing to experience the different phases of the cupping experience from smell to taste. 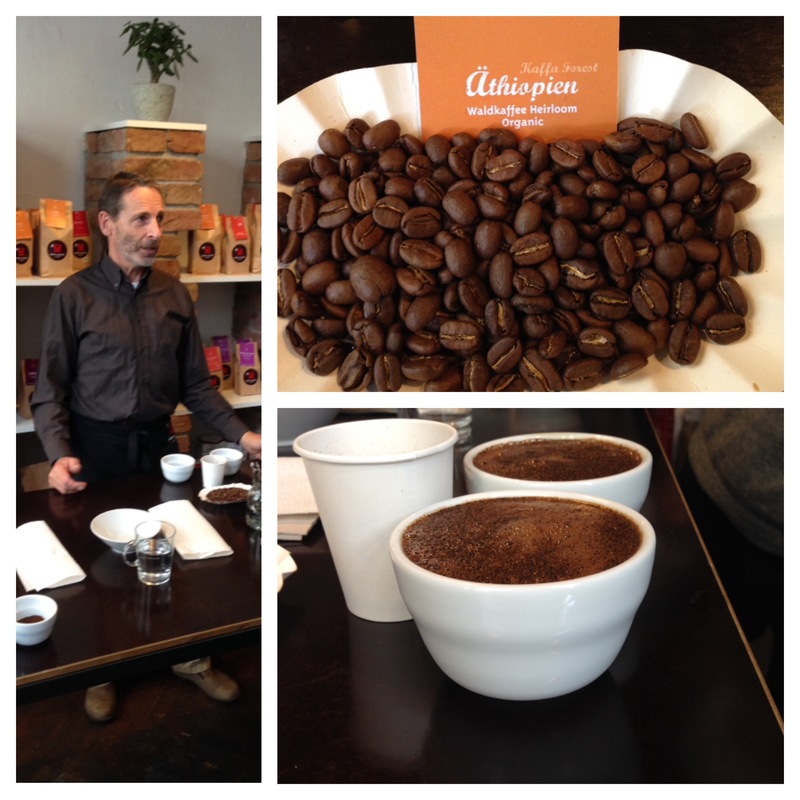 In fact some coffees that smelt nice, didn’t quite live up to the taste test. The Peru smelt like vanilla but when I tasted it, it was not quite as intriguing. Nevertheless, the Kenyan didn’t disappoint and in fact I’m thinking of going back to buy a bag of it. 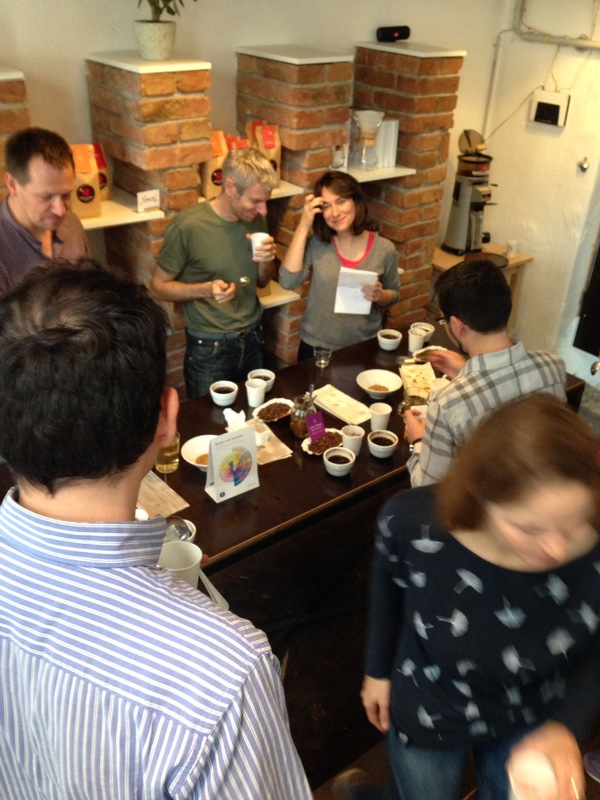 Most of my colleagues were really impressed as it was their first cupping session and bought some coffees to take home. Ever grateful to Charlie for arranging this session and I’m now thinking about our next session…. 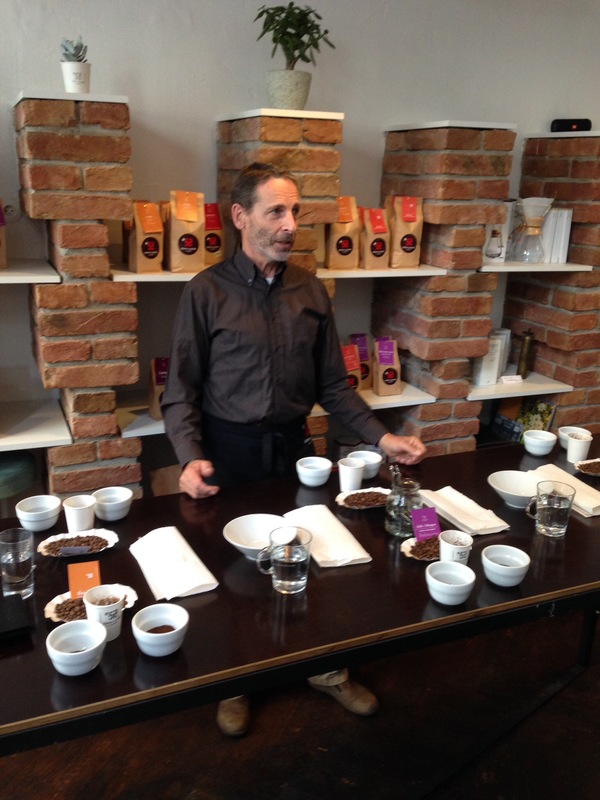 hmm espresso tasting perhaps.